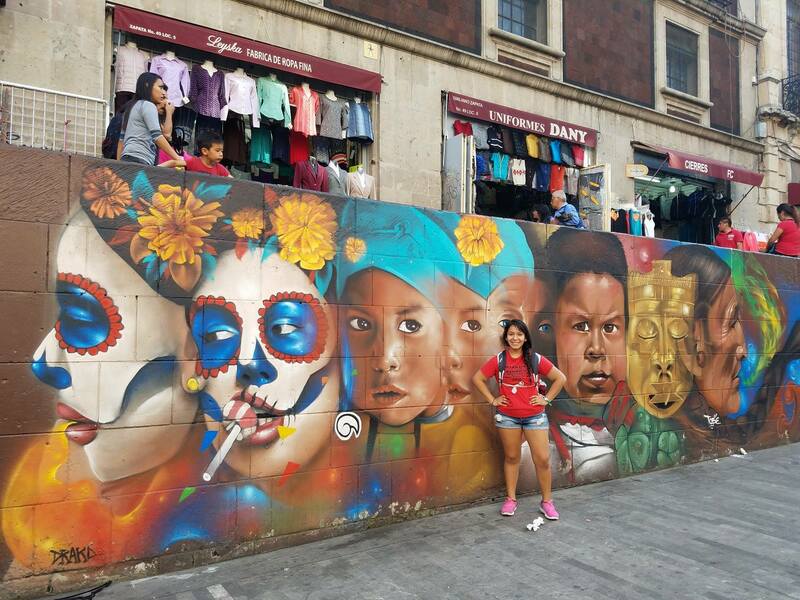 This past fall semester I had to opportunity to study abroad in Mexico City. There I attended the National Autonomous University of Mexico (UNAM), which is the largest university in Latin America. 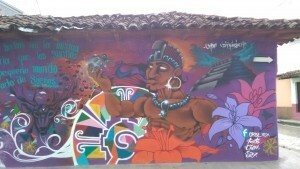 Moving from Eugene, Oregon to Mexico City was quite the experience. I remember getting on the plane to go to Mexico City on July 30th, my eyes were red from tears falling down my cheeks. I was scared and sad to be so far away from home in a big city where I did not know anyone. I remember praying that the five months I would spend in Mexico City would go by fast so that I could return to Oregon and be surrounded by the familiar things I grew up with. In the year 2000 my family immigrated to the United States from a small town in the state of Michoacan called Patamban. At the time I was barely 5 years old, therefore my memories of living there had faded over time. I chose to go to Mexico because I wanted to experience first hand what it was like to live in Mexico, especially in a big city. While in the United States I have only lived in Newberg, Oregon which has a population of nearly 23,000 people and Eugene which is significantly bigger than Newberg but nowhere near the almost 20 million people that make up Mexico City. Spanish is my first language but because I had to juggle with learning English as well at an early age I tend to be more comfortable with speaking Spanglish. Therefore when I arrived in Mexico City I felt intimidated by all the other spanish speakers. First of all they spoke a lot faster than I was used to hearing. Throughout the spanish courses I have taken at the UO my peers and professors have repeatedly mentioned that I speak very fast in spanish, but it was nothing compared to people in Mexico City. Secondly, my family comes from a more rural area in Mexico, therefore I grew up hearing different slang than the one they use in Mexico City. It amazed me how the Mexicans in the city had several different expressions for one word. For example the word “aguas” which translates to “waters” can mean to “duck down” or to be careful. Being in Mexico City I got to learn a lot of the slang and although it was difficult to understand at first, I can now comfortably use them. 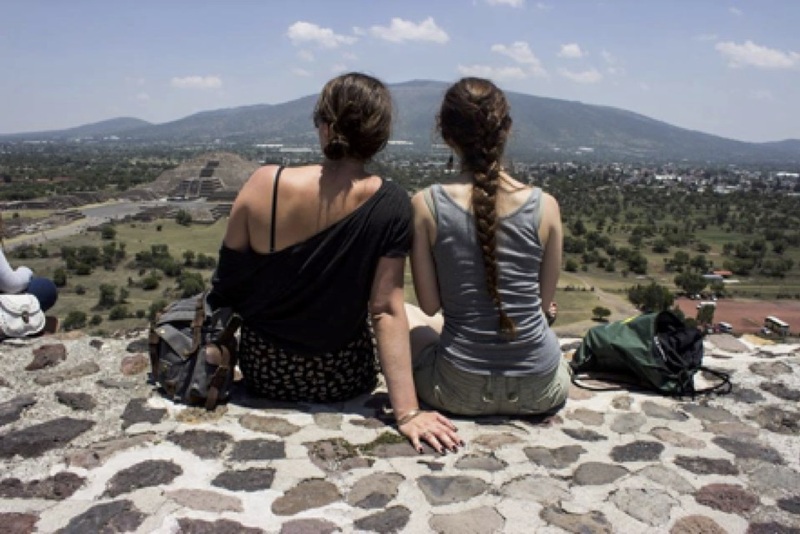 My speaking Spanish language consistency definitely improved while studying abroad, however I also learned to be proud of my Spanglish, because at the end of the day it demonstrates the influence both the Mexican and Northwest have had on my life. One aspect about studying abroad that I was excited for was getting to eat all sorts of Mexican food. As a vegetarian, at first it was challenging to find places that would accommodate to my dietary needs but then I discovered vegetarian tacos and other kinds of foods that did not have meat in them. One of my favorite traditional foods was “Pan de Muerto”. Pan de Muerto is round wheat or flour bread that is made around the Dia de Los Muertos holiday. This holiday is also known as Day of the Dead and it happens November 1st and 2nd and it is a way for people to celebrate their loved ones as well as the afterlife. 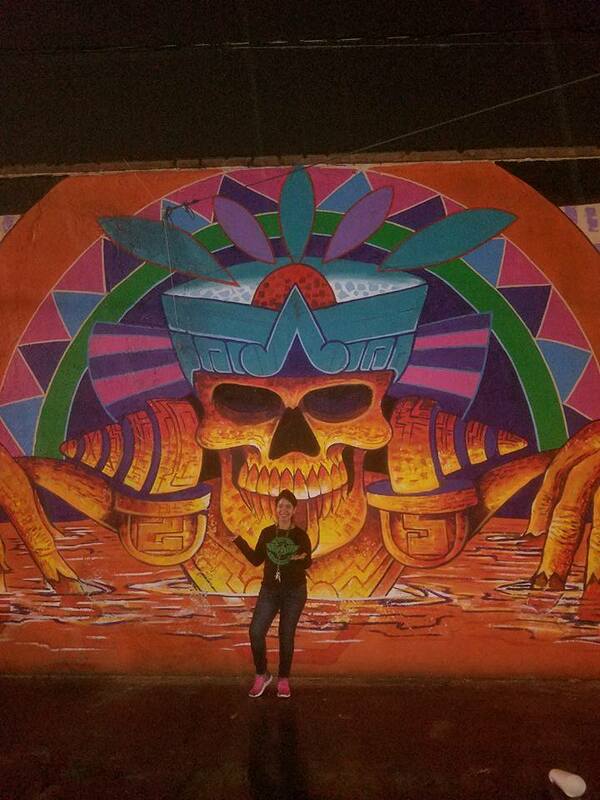 For the Day of the Dead I went to a small town called Mixcoac which is on the edge of Mexico City. I was amazed when I arrived to this small town because there was all kinds of foods and people dressed up in traditional dresses and painted faces. Previously I had already tried the Pan de Muerto but it did not compare to the hot, sweet freshly baked bread that I ate in Mixcoac. While in Mixcoac I also got to visit the graveyards where people visited their loved ones. The people had chairs by the graves as they sang, ate food, drank tequila and just overall had a good time. There were also several mariachi groups which was great to see and hear. My favorite part of this holiday was seeing people coming together to honor their ancestors in such a celebratory way, which is not common in the United States. I can not write about my experience abroad without talking about dancing. While studying at the UNAM I decided to take bachata classes. Bachata is a partner dance that originated in Dominican Republic. It is very popular amongst the Latino community, but I had never had the opportunity to take any classes while in Oregon. Additionally I wanted to meet new people so I signed up for the class at the UNAM campus. Without a doubt that was the best decision I made while at the UNAM. Before I knew it I found myself surrounded by an amazing group of friends who encouraged me to sign up for salsa and cumbia classes. What started out as an extracurricular activity soon became my favorite part of the day. I was taking dance classes five days a week and some days up to three hours a day. Slowly my dancing skills improved and I was able to go out to the clubs and local dance gatherings in Mexico City. Dancing is such an important part of Mexico City’s culture and this enabled me to connect to other cultural aspects. As I mentioned previously I made a lot of Mexican friends through these dance classes and this was important to me because I wanted to interact with students who grew up Mexico City. On December 24th I got on a plane in Mexico City and headed back to Oregon. This time around, I couldn’t help but cry. I cried because I had fallen in love with Mexico as a whole and especially Mexico City. I realize it sounds so repetitive to say “Studying abroad changed my life” but it is true. 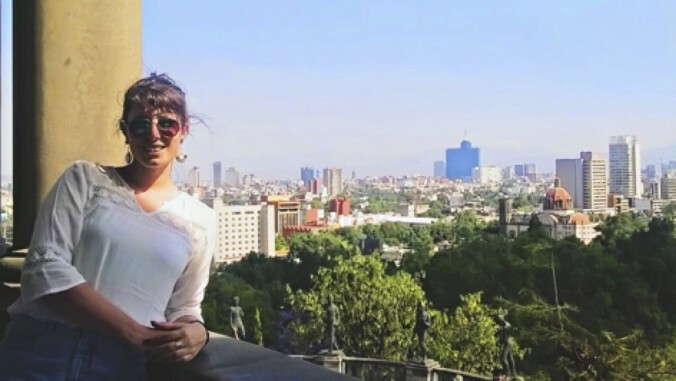 I believe that Mexico City was the ideal place for me because it helped me be more independent, improved my Spanish and opened my eyes to career opportunities I had not considered in the past. I am thankful for all those who supported me on my journey to study abroad, I can honestly say I couldn’t have done it without you all. If you have are considering studying abroad take the next step and talk to an advisor. Trust me, you won’t regret it. This summer I traveled to San Cristobal de las Casas, a small city located in Chiapas, Mexico for a seven week, faculty led study abroad program. This program was undoubtedly one of the best experiences I have ever had and even two months later, I still think about it and miss it all every day. One of the most unique aspects of this program was the two-week service learning portion. 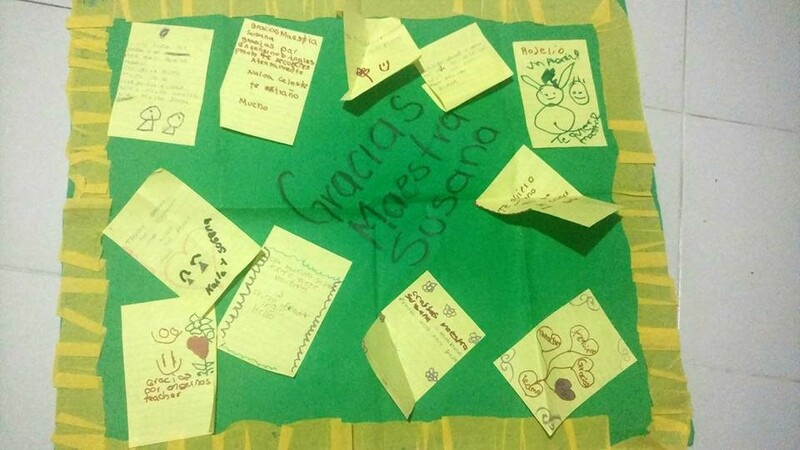 Each student was assigned an organization to work with in or around San Cristobal and was partnered with a Mexican student who was working on the project long-term. I worked with another student from San Cristobal at a small school in Zinacantan, a neighboring Mayan community. The school, Yo’onik (Yo’onik is Tzotil for ‘heart’), is a non-profit that provides remedial education for students for just as small fee (it is free on Saturday though so every child has an opportunity to attend at least once a week). It is entirely operated by volunteers and funds from donors. This project definitely pushed me way out of my comfort zone. During these two weeks, I generally had the mornings free because the children did not arrive to their classes until 1. I ended up being able to spend that extra time hanging out with my host family or with my service learning partner exploring the city and the areas around San Cristobal. 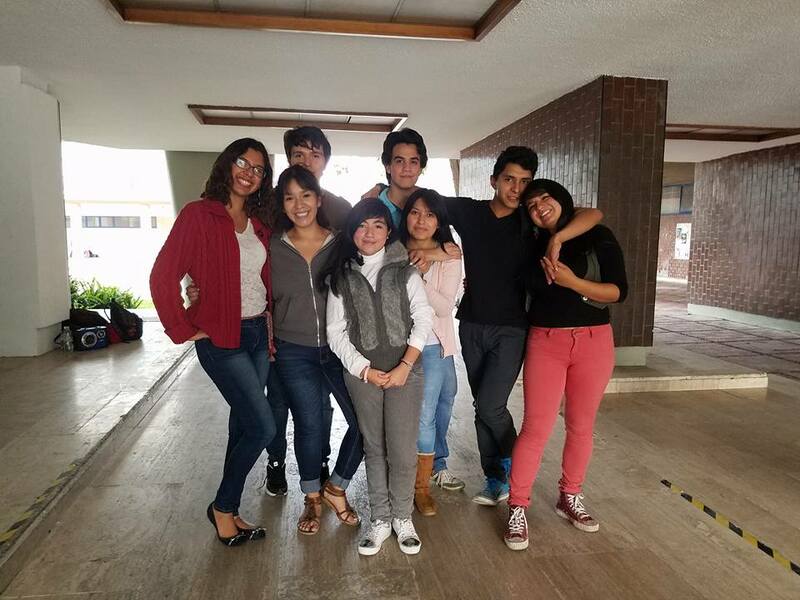 For almost two weeks, I was spending the majority of my time with people who did not know English and I was forced to really push myself in trying to learn and improve my own Spanish skills. 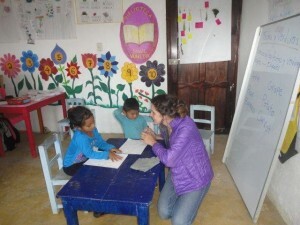 In the afternoons, we would take one of the vans or cars that drive up to Zinacantan to start teaching classes. The first week I helped my project partner teach classes on the environment. The kids were enthusiastic to learn and although they were a little shy around me at first, it did not last long. We would spend recess playing tag and hide-and-go-seek or I would just monitor them as they played and pretended on a playground made completely out of tires. 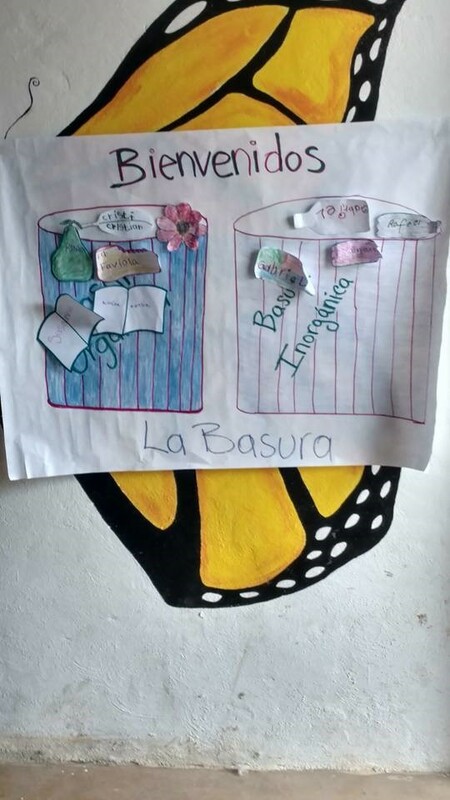 After classes, we would plan the lesson for the next day and make all the materials necessary—the school does not have a lot of resources so making materials for the students required a lot of creativity. 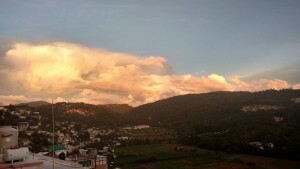 I would usually get back to the center in San Cristobal around 5 or 6 which left the evening free for exploring. One of my more memorable evenings was climbing to the top of a huge hill where the Iglesia de Guadalupe sits and watching the sun-set over the mountains surrounding San Cristobal. I am easily overwhelmed by the beauty of the world, but there really was something magical in the peace of that evening. The next week of my service learning project was a little bit different. My project partner asked me if I would be willing to teach English classes and while there’s not much I could teach the children in a span of a week it was a wonderful experience that pushed me completely out of my comfort zone. Let’s just say we spent a lot of time playing loteria (Bingo) because I will be honest, I’m not exactly what one might refer to as ‘qualified’. But I am hoping the kids got something out of it, even if that was just having fun for a week with a teacher from a different country. 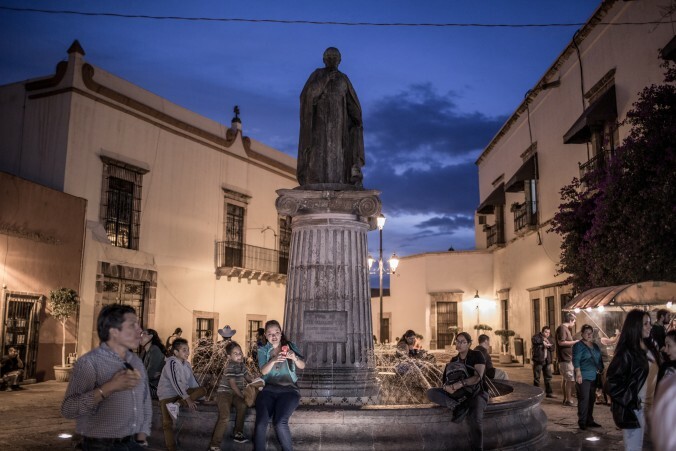 One of the most interesting things about working in Zinacantan is that the culture there is completely different than it is in San Cristobal. It is a Mayan community that has its own laws and customs apart from the Mexican government. While I was working there, there was a celebration going on. The hill where Yo’Onik sits is considered sacred and as part of a ritual during this celebration, all of the most important political leaders would climb to the top of the hill and a band would play for them. I never figured out why or what the significance was, but it was definitely an interesting experience to have the leaders of Zinacantan standing right outside of our little school. Another evening, one of the teachers at the school invited us over for coffee and pan dulce. We sat in her kitchen which was made entirely out of adobe while her sisters worked on artesanias to sell all throughout Mexico. The grandmother (I believe) showed me another room where they make and store all of these beautiful pieces of art—everything from purses, to belts, to dolls. I was humbled by their hard work and all of the beautiful things they make with their hands and grateful for their hospitality and for showing me this part of their lives. The last day of my service learning project I was sick and was not able to go. This is probably my biggest regret (not that I had much control), but I was sad that I could not say goodbye to the kids. They did all write me sweet little notes though and stuck them on a big piece of construction paper. I have it hanging in my bedroom now because it really meant a lot—the whole experience did. Although the service learning portion was only two weeks of the entire program, it definitely impacted me deeply. It was a unique and unforgettable opportunity that I am forever grateful for. This summer I spent seven weeks in Southern Mexico on the GEO Maya Communities and Social Justice in Chiapas Study Abroad Program. For the most part we stayed in the beautiful city of San Cristobal de las Casas, but we also explored a lot more of the state of Chiapas. 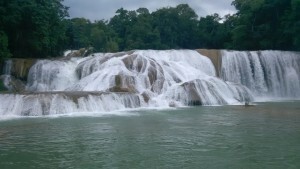 Our longest excursion was an overnight trip to Palenque. The trip one way was supposed to take about five hours but it was closer to six due to the winding roads and low speed limits, that are enforced by speedbump. After we left San Cristobal the temperature increased from about 75 degrees Fahrenheit to 90 with close to 100% humidity. 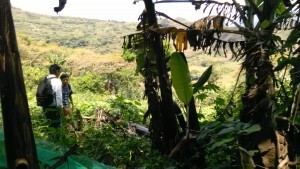 We left the mountains and drove into the rainforest, although certain parts had been cleared for farming or raising cattle. Finally, after a six-hour car ride we made it to the small city of Palenque. We stayed just outside of the city center in a nice hotel that had a pool and air conditioning. My roommate and I walked into the town to explore it a little bit and went to a pizzeria, while everyone else ate at the hotel. After dinner we all went swimming and then we went to an awful hotel karaoke bar. The next morning, we got up at eight and it was almost just as hot as when we arrived the evening before. We ate breakfast and took off toPalenque. 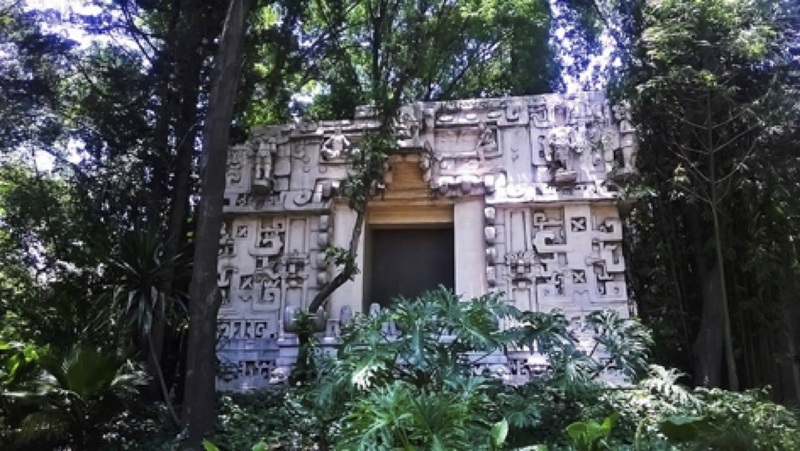 The town Palenque is named so because it is next to an ancient Mayan city of the same name. We arrived and I bought a hat and a huge water bottle because I could tell I was going to need it. There were vendors and tourists everywhere. Our tour guide gave us our tickets, we covered ourselves in bug spray and we all went in. At the entrance to the site there is a sign informing visitors that Palenque is a UNESCO (United Nations Educational, Scientific and Cultural Organization) heritage site. Basically, that meant if there was ever a war that threatens the site the UN would come in and protect it because it is an important human historical site. After we climbed a jungle covered hill, we came to a plateau and the trees opened up allowing us to see a grass field before a giant stone edifice. We climbed inside of what is known as the Temple of the Inscriptions and saw a stone sarcophagus painted red with an arsenic rich mineral. Next we headed to the Palace. The Palace has a large maze of tunnels in it, a courtyard, and a Mayan watchtower unique to Palenque. After climbing through tunnels we emerge on top of the Palace and were able to explore it. These are the only two imposing structures we explored because a majority of the site is still covered by tropical forest. Exploring this pre-Columbus American city was a once in a life time opportunity! 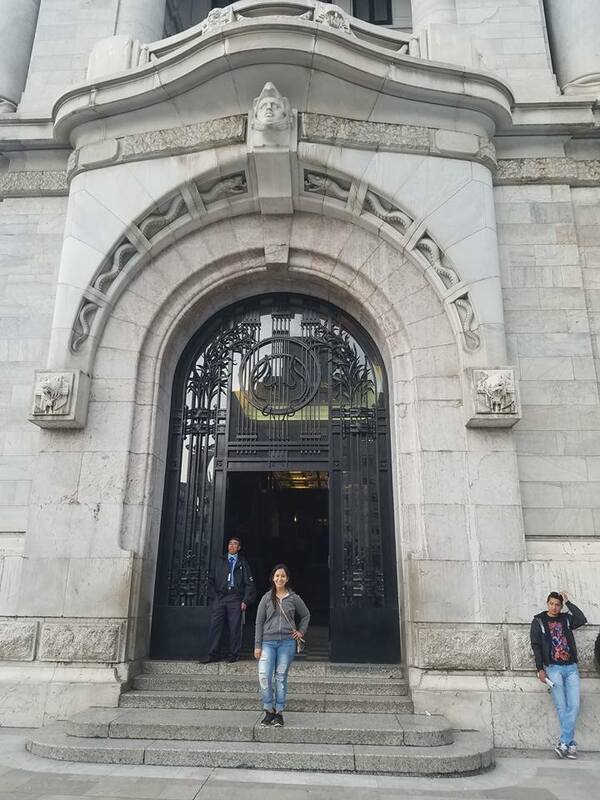 During my study abroad experience in Mexico I made an effort to travel to various cities outside of my homestay in order to get a feel for life in a variety of locales. 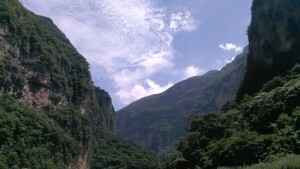 One of these trips was a weekend in which my father and I (he had flown down to visit me and see the sights) traveled to the small city of Jalpan in the Sierra Gorda outside of Querétaro. We had to check out of our hotel incredibly early in the morning and made the somewhat foolish decision of paying as we checked out rather than when we made the reservation. As our luck would have it the machine in which the hotel was using to keep track of reservations and payments decided to stop working and various problems arose regarding our payments. Seeing as my dad doesn’t really speak any Spanish the task of sorting out the reservation fell on me as I struggled to force myself out of my sleep-deprived stupor. I spent about an hour speaking with the hotel employee working everything out, stretching my limited Spanish skills to their limits before we were able to leave and catch our next bus. Although I had already been in Mexico for a few weeks at that point, looking back I realize that dealing with the reservation problem was probably my first big challenge which I faced while studying abroad. Especially when considering my level of Spanish upon arriving in Mexico (I had studied the language for a little under a year), being thrust into a position in which I had to problem solve in a foreign language whilst sleep-deprived was rather intimidating. I am fairly confident that had I been thrust into that position before studying abroad I would not have been able to have much, if any success solving our payment dilemma. I was able to overcome this linguistic hurdle primarily due to the confidence speaking Spanish which I had obtained from my then limited time abroad. Looking back I am able to appreciate truly how fast one’s language skills and comfort speaking improve whilst studying abroad. Moreover, speaking with the hotel employee was one of the first times in which I had practically spoken Spanish for an extended period of time. In many ways it was like a door had been opened for me. Suddenly the idea of speaking to strangers in Spanish didn’t scare me; I had proven to myself that it was possible for me to speak and not make a fool out of myself. After that weekend I found myself much more willing to speak Spanish with strangers, a change which greatly enhanced both my language skills and my experience abroad. I had the most amazing time in Mexico. Studying abroad was strenuous and exhausting, exciting, fun and overwhelming. I think the hardest part was transitioning from normal life into this foreign school with strangers; the other students from Oregon were great, but it was definitely an adventure getting to know each other. The most exciting first thing I experienced was just walking around the city by myself. I felt so empowered to be on this adventure so far from friends and family. I wandered and saw the cathedrals and was amazed by the size and the ornate architecture. We have nothing like the buildings and plazas here in Oregon that are the beating heart of Mexico cities. It was an experience that changed my life. I feel more confident and self assured. People have been saying I am more myself, solid in who I am and what I want out of life. I believe that studying abroad is the most important part of a University education. It widens a person’s outlook on the world in ways staying in the USA does not. Yes I learned a language and yes I got college credits, but for me the most important thing I came back with is something unexplainable within me. My most memorable adventure was going to Mexico city with the class; a trip included in the program with a teacher as our guide ( I went on many on other trips as well not included in the program). 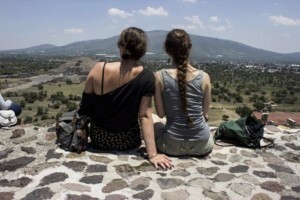 We drove to Teotihuacan first on our way to the Capital city. The ruins of such an immense and powerful civilization was mind blowing. I couldn’t comprehend the magnitude of such a city, the temples were sky high and so steep walking down you’d think you’d fall. The streets straight as if mapped out by a modern city planner. Miles of city and all perfectly built even, even with the stars and major planets that could be seen. People amaze me and that is why this trip was so important to me. We went to many, many, many museums; among them the anthropological museum that holds the mayan calendar and other awesome statues from many periods of Mexican history. 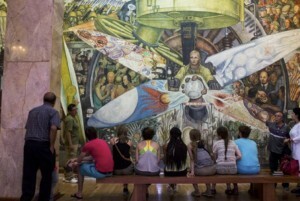 We went to Frida Kahlo’s house, La Casa Azul; which as an art student and an avid lover of Frida I was in heaven. I walked the neighborhood and strolled through the artisans market and through a park where artists were selling their work. All this seems so surreal now that I’m back in my normal life. Memories of a place that is so far away are becoming dreams. Yet the strength of the experience are still fresh in that i remember how awesome it felt to be sitting atop the Temple of the Sun, but the details of the weekend blur and become one mass of color and music. In Querétaro I made many good friends that I am still in contact with. My host family was lovely and I hope to visit them in the future. I made friends with some locals and we had a blast hanging out after school. Again it’s like a different life or a dream, a wonderful memory that will be with me forever. I highly recommend expanding one’s personal travel to another country, things are much different when you’re not from there and you don’t speak the language, maybe even your own self will turn out to be different. You’ll never know until you try.